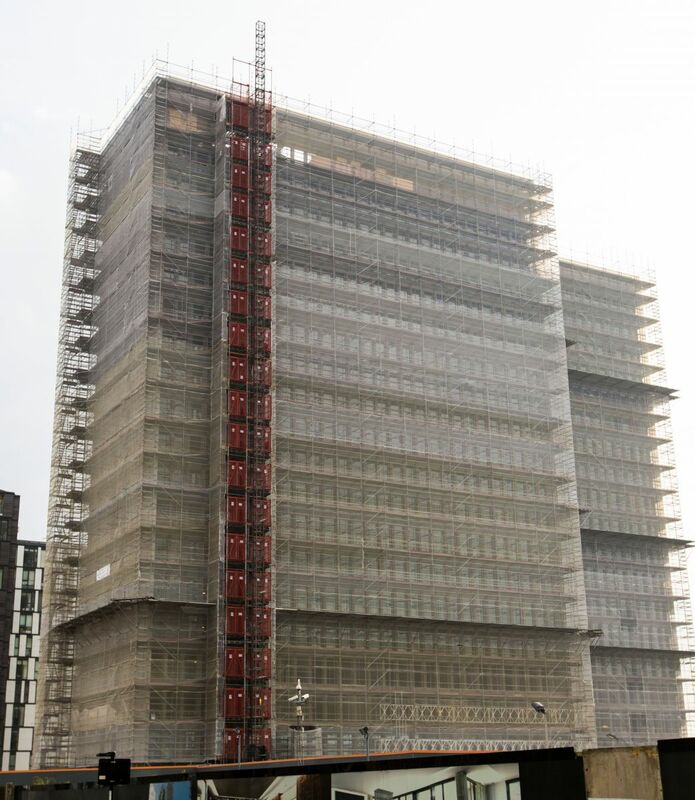 TRAD Southern have successfully and safely erected 14,500m2 of system scaffolding on a conversion project at Leon House in Croydon. The work was completed in a record 54 days, beating the estimated programme by 16 days! 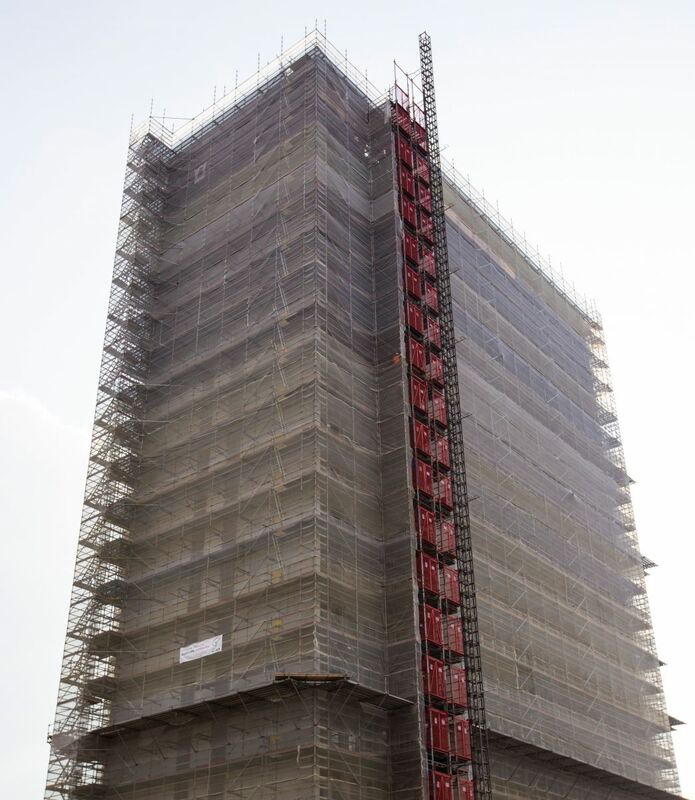 The combination of TRAD Southern and system scaffolding once again proves to be a successful partnership, building confidence with our repeat business customers and clearly displaying our professionalism and expertise within the scaffold industry. 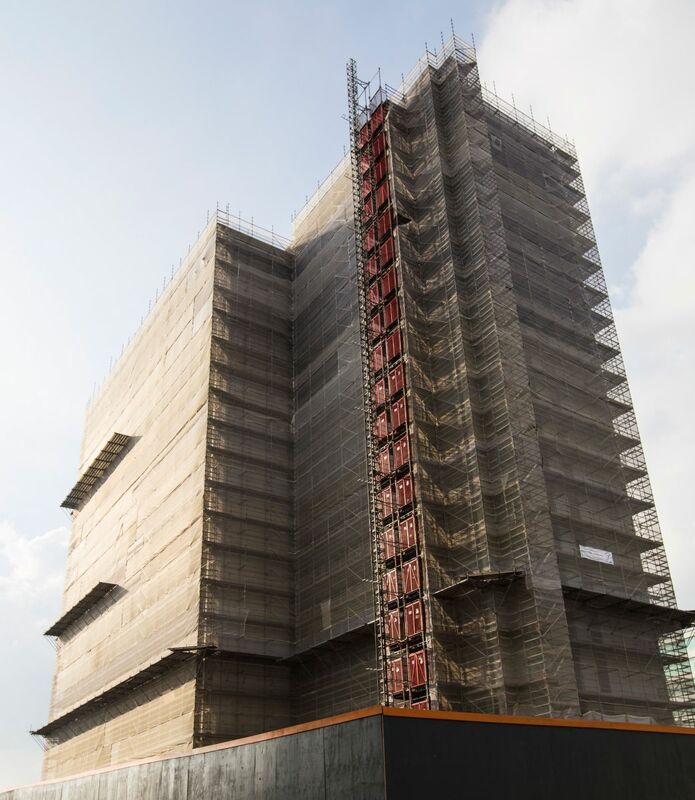 Leon House is a 22-storey office building which was built in the 1960s, and is now being transformed into 256 residential apartments. 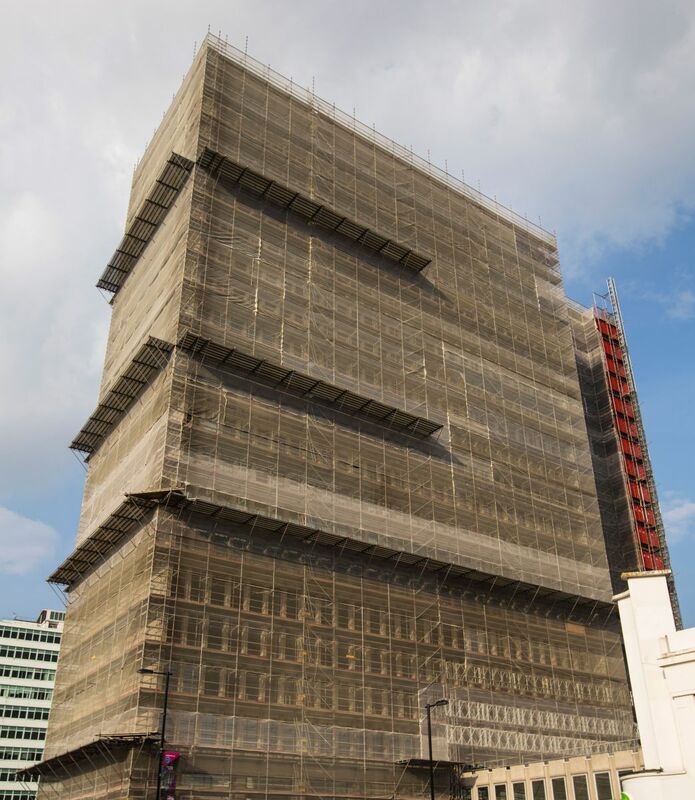 Award-winning construction company Bouygues is overseeing the ambitious project at 233 High Street. The exterior conversion involves cleaning the entire building, replacing the existing windows and removing all existing balconies. The ground floor will be given over to commercial space, and residents will have access to a new rooftop garden. The new 1.30m Altrix HD Beams were an integral part of TRAD Southern’s design, as they enabled huge and impressive spans to be bridged with ease. TRAD Southern’s Divisional Director Craig Hayes commented, “The beams are bigger and structurally stronger than other modular beams, meaning less are required, which saves on time and cost effectiveness for our clients.” The underground car park and local businesses were also able to remain open throughout the scaffold erection, and disruption to the local area was kept to a minimum allowing trade to continue as usual.